The State Universitys basketball team is determined to give Coach Corrigan a proper victory send-off as he prepares to take a sabbatical leave following the Holiday Invitational. However, the State team, even with the nations top-scorer Chip Hilton, has trouble, and it could mean defeat in the tournament. They have no one tall enough to go up against their opponents giant pivot men, and they have begun the season with three straight losses. The solution seems to present itself when Chip finds seven-foot Branch Phillips, a State junior who has transferred from another college. However, Branch is supporting his mother and three sisters and has no time for basketball. But Chip and his friends overcome by pitting ingenuity and teamwork against all obstacles. 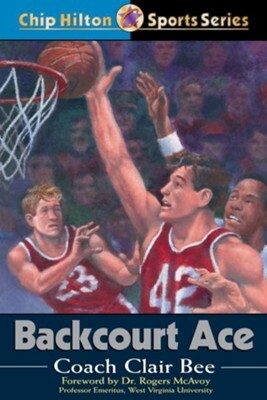 I'm the author/artist and I want to review Backcourt Ace - eBook.